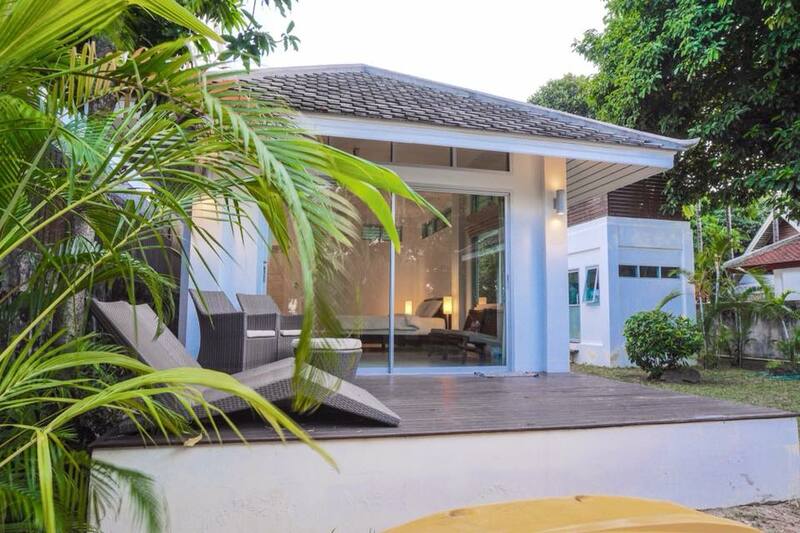 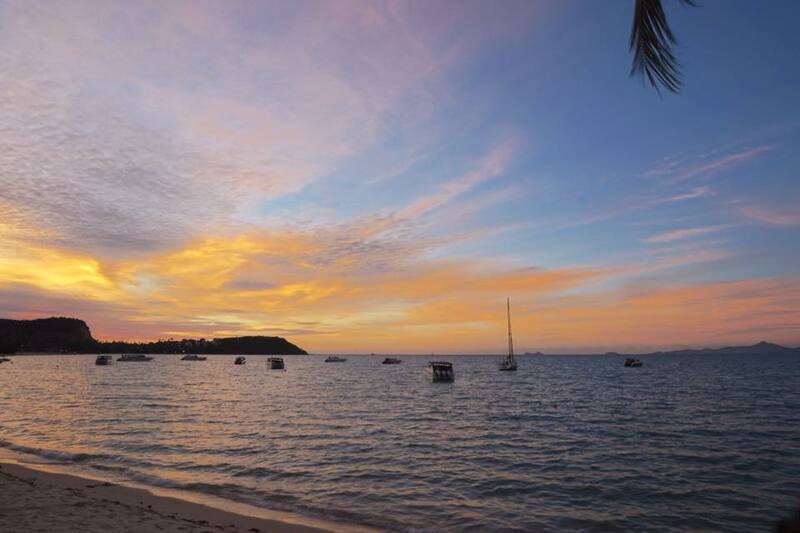 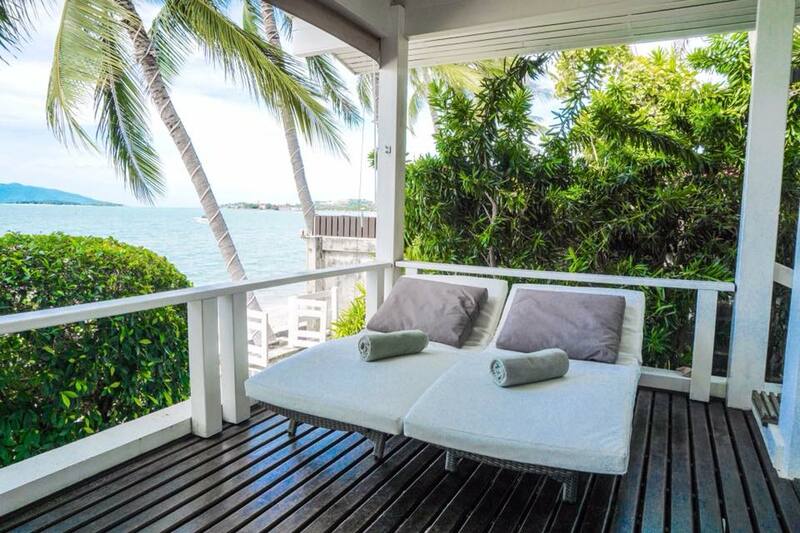 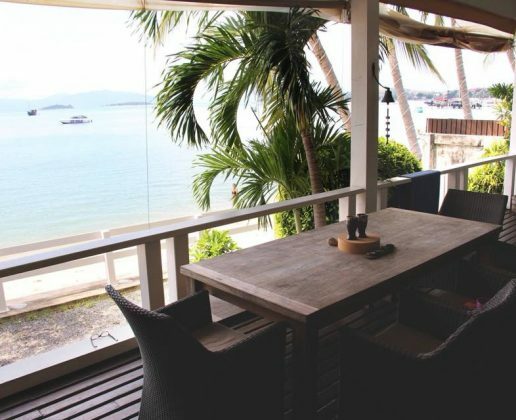 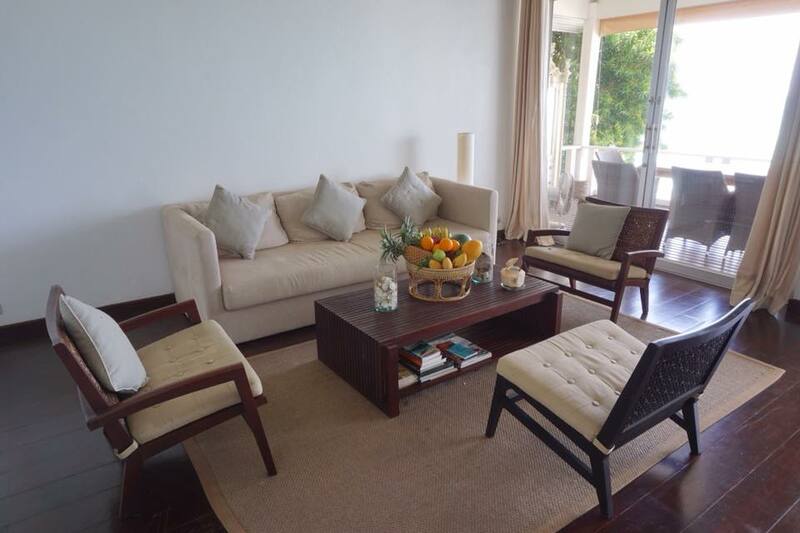 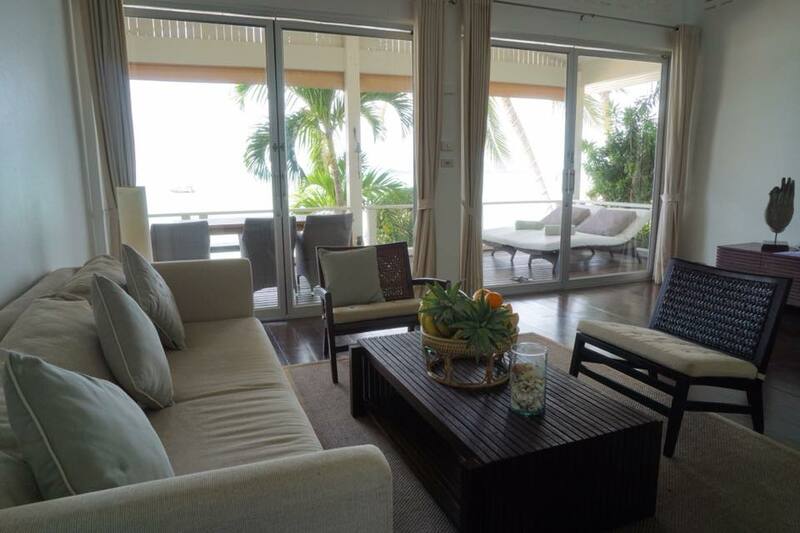 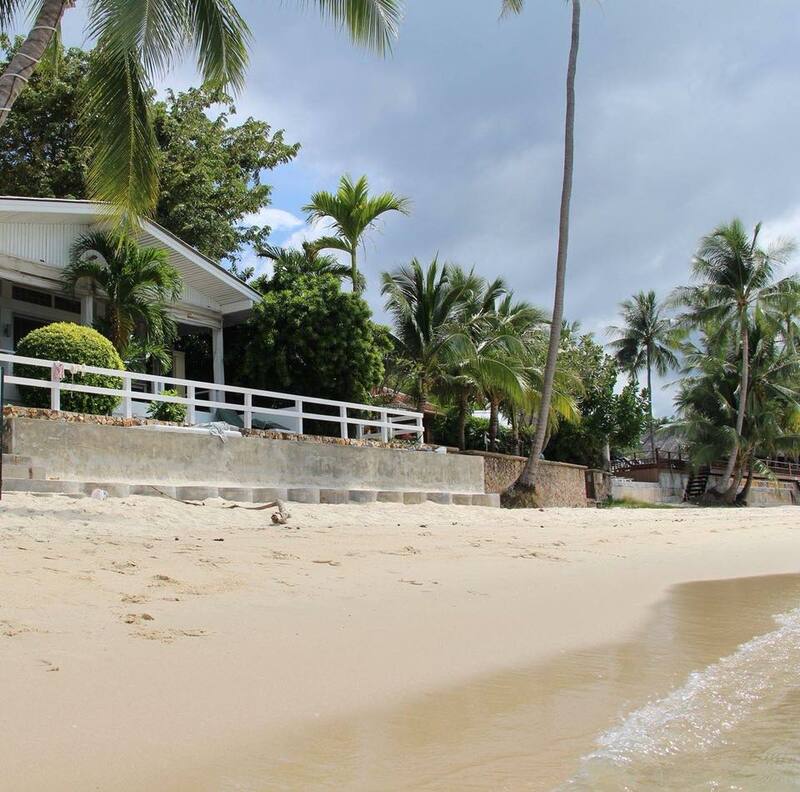 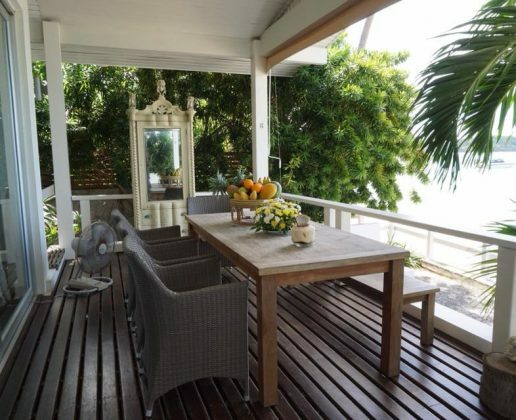 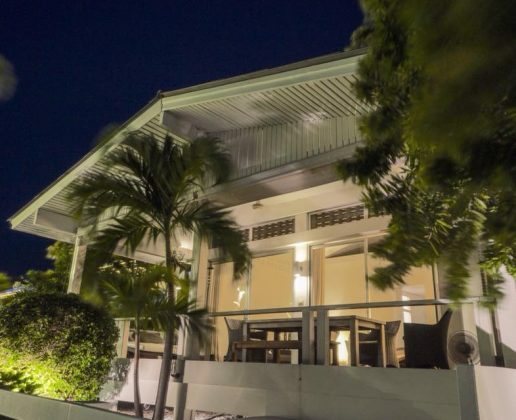 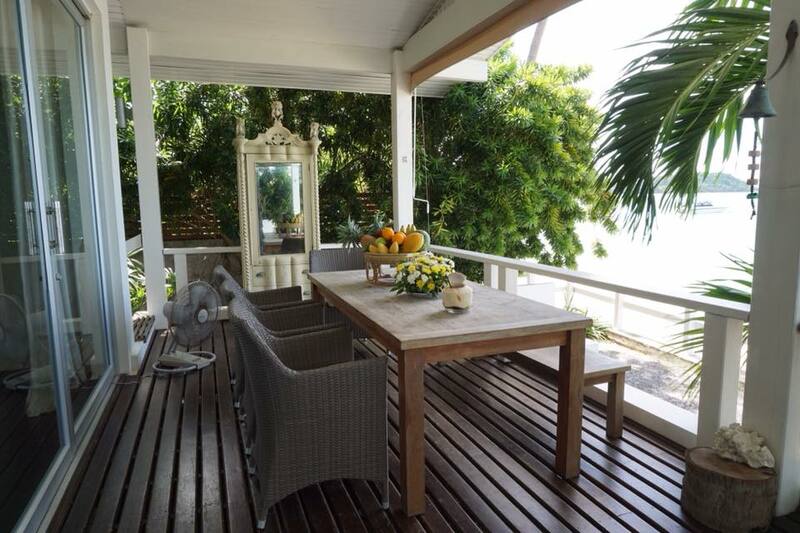 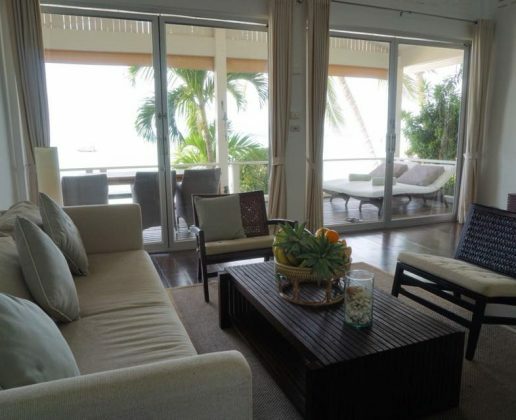 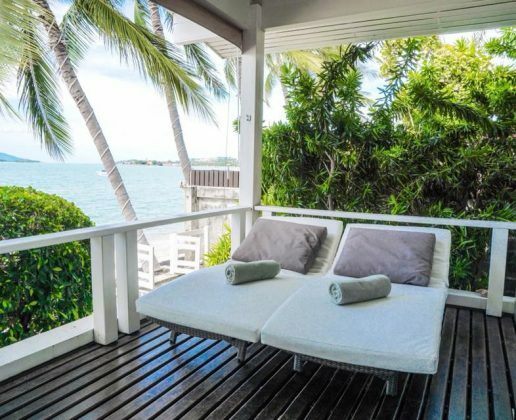 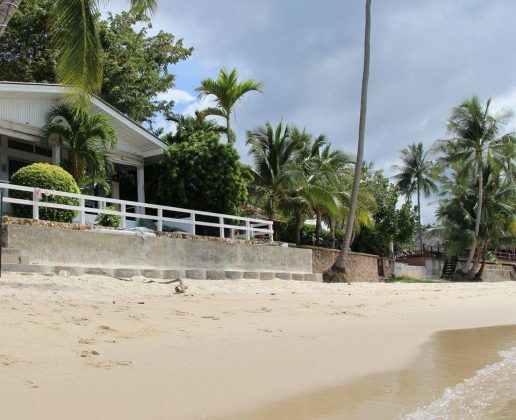 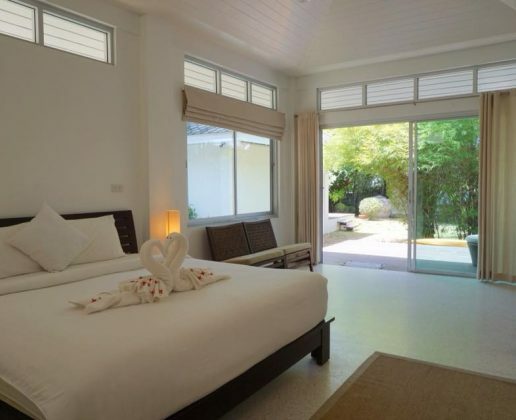 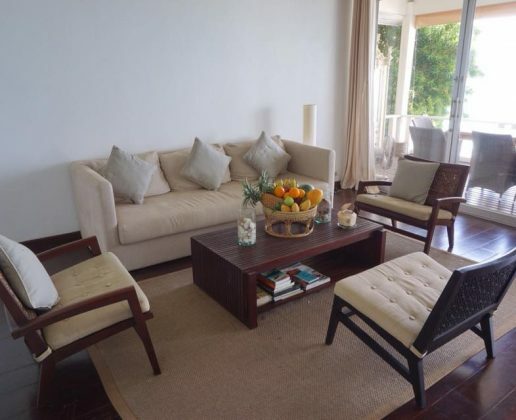 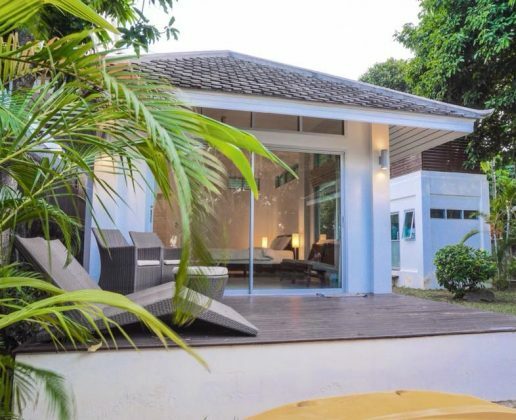 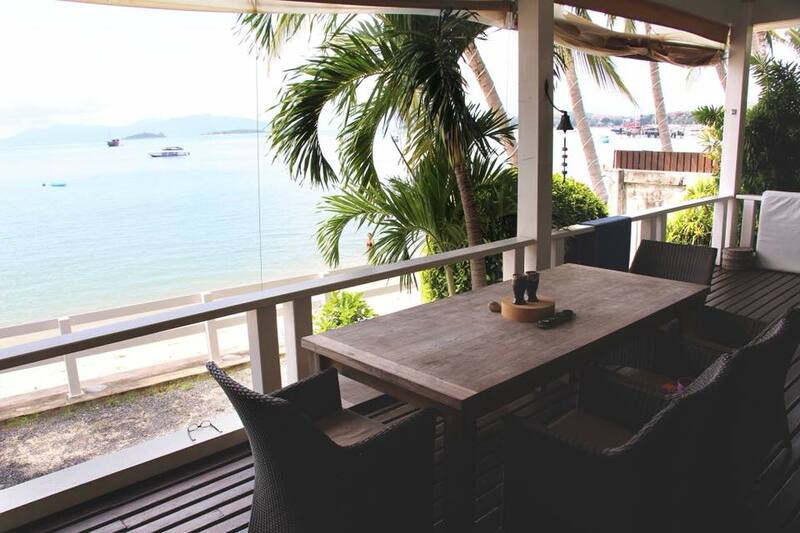 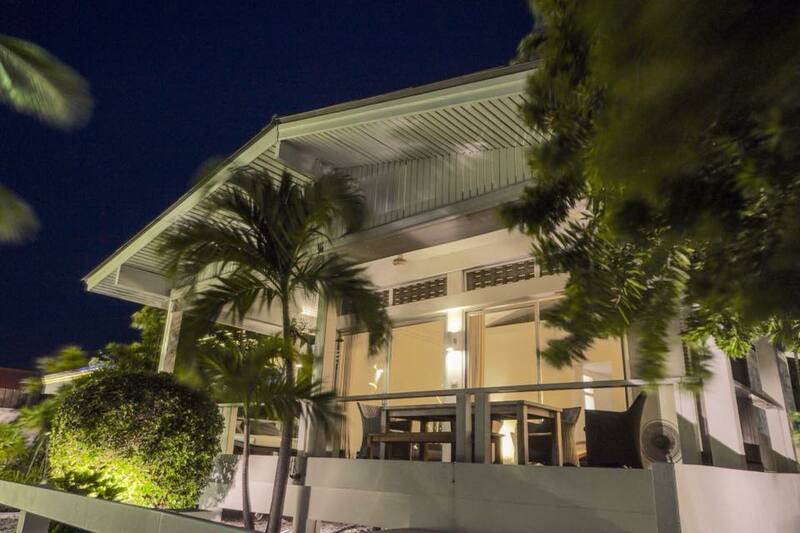 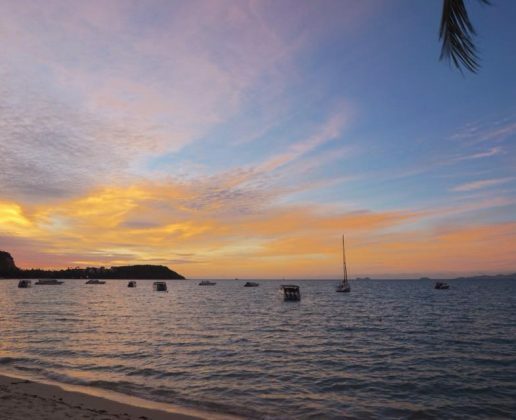 This cozy beachfront villa, comprises with 3 separated small villas in the lush garden and walled in property. 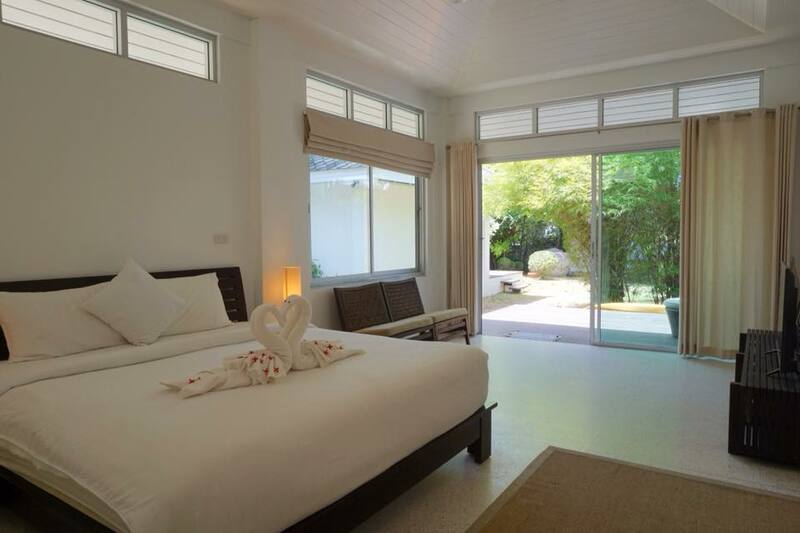 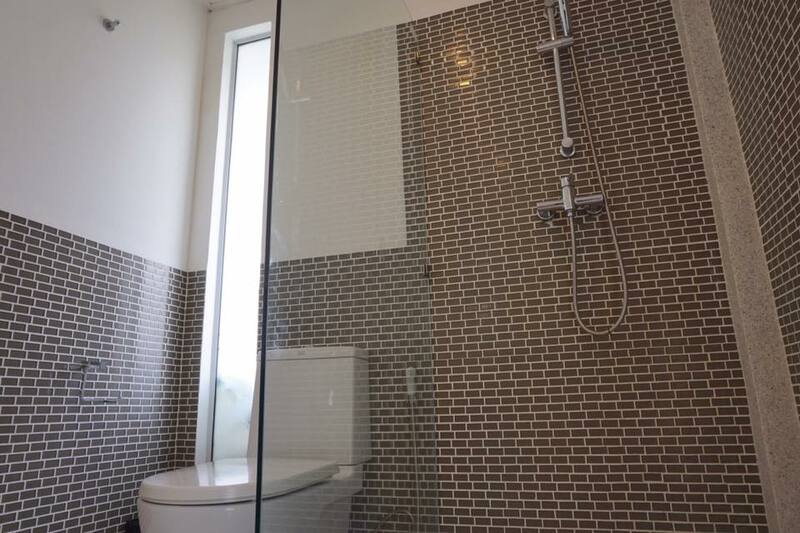 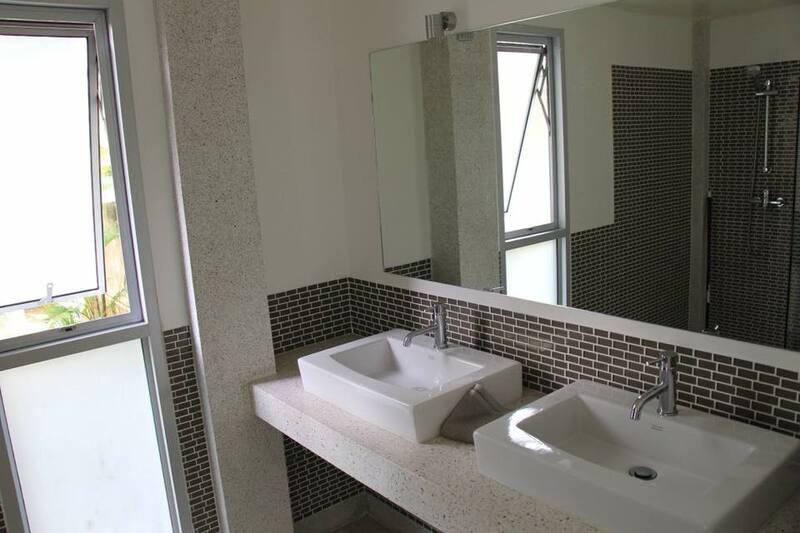 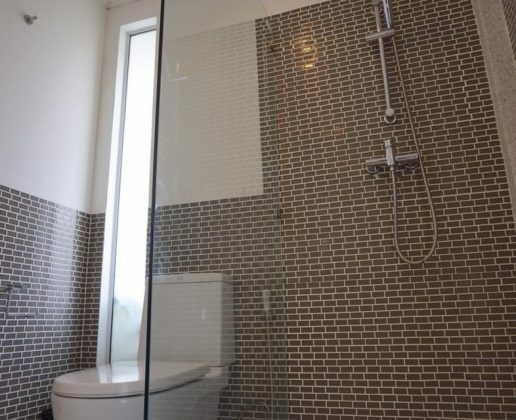 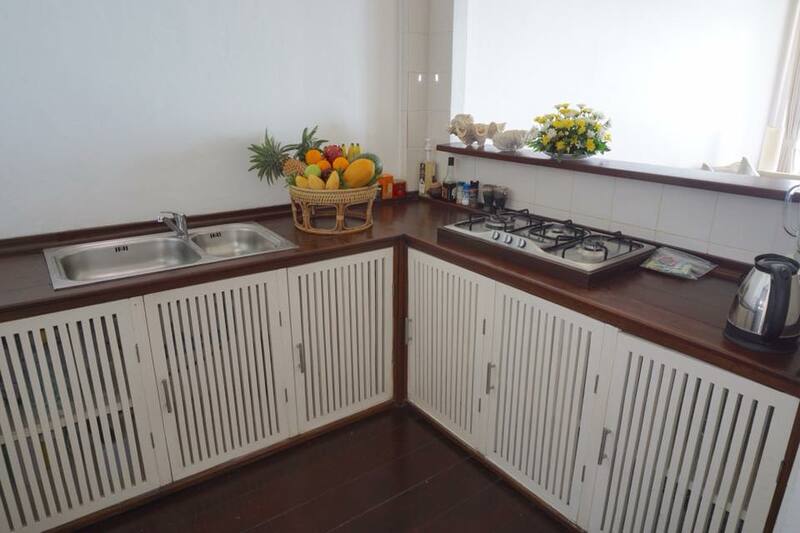 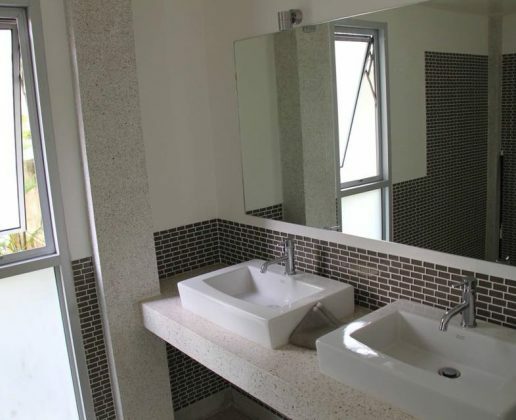 Two villas are one bedroom with en-suite bathroom, small living in each and outdoor terrace with sun beds for relaxing. 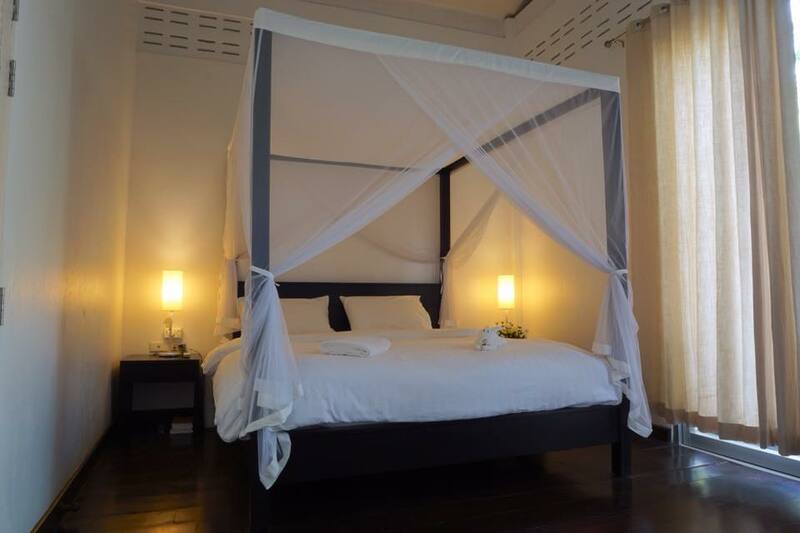 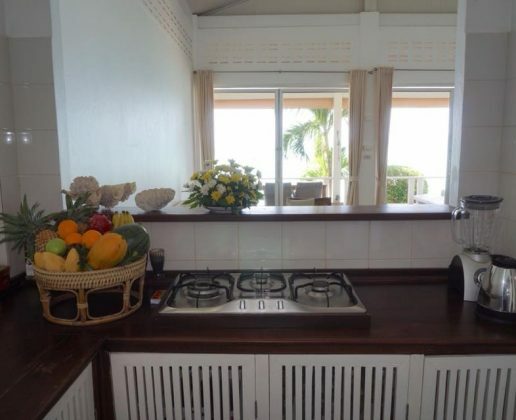 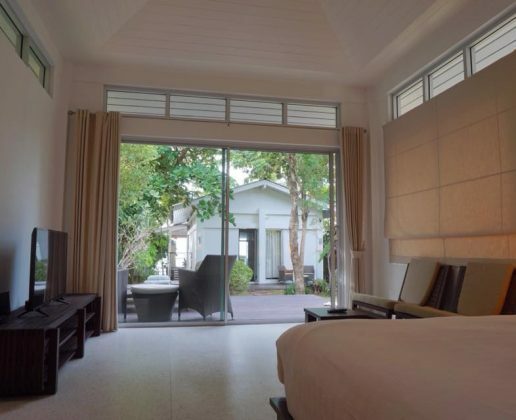 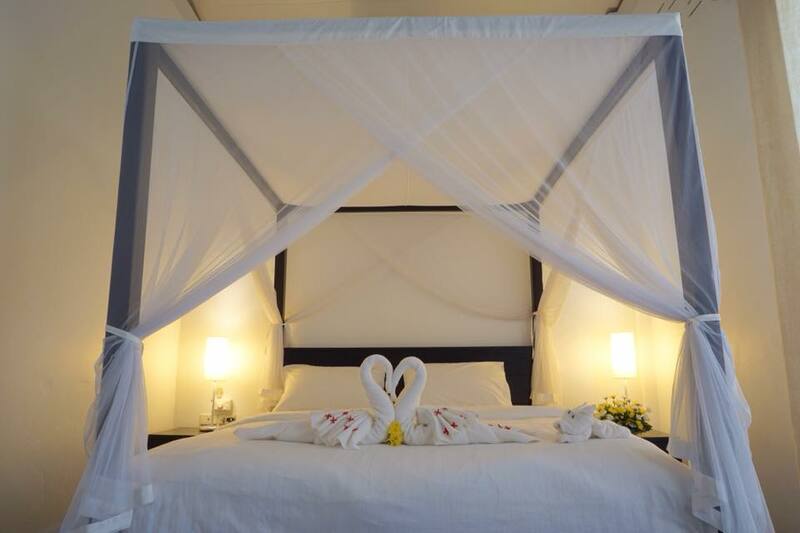 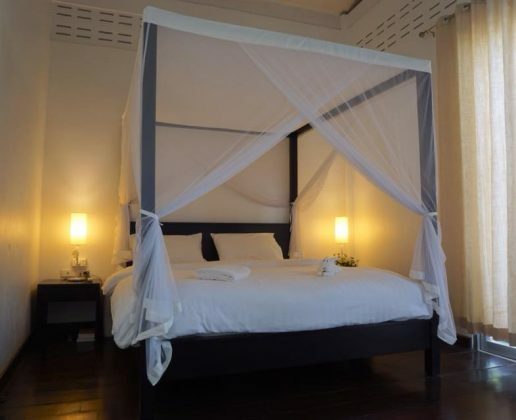 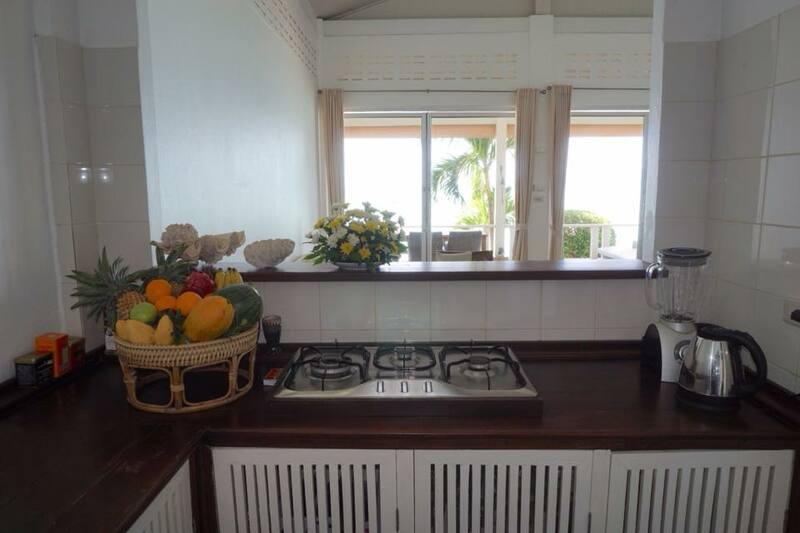 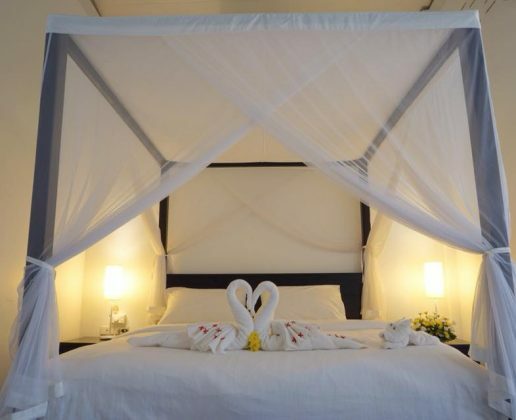 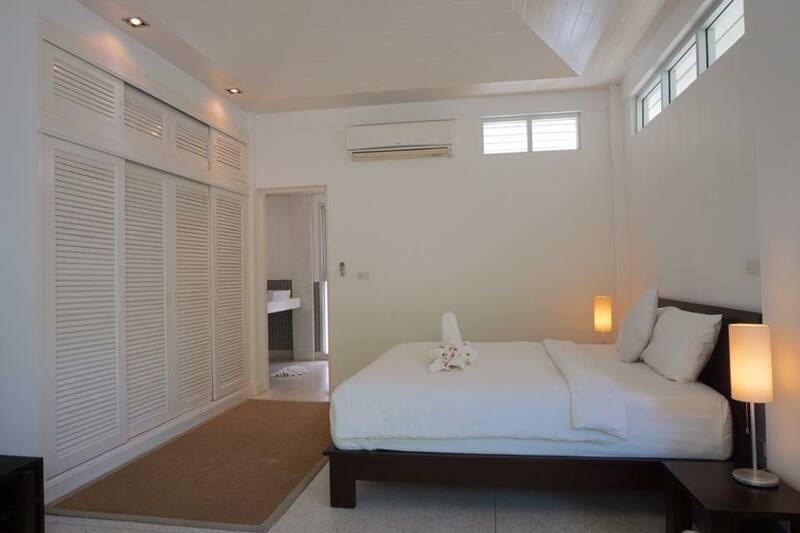 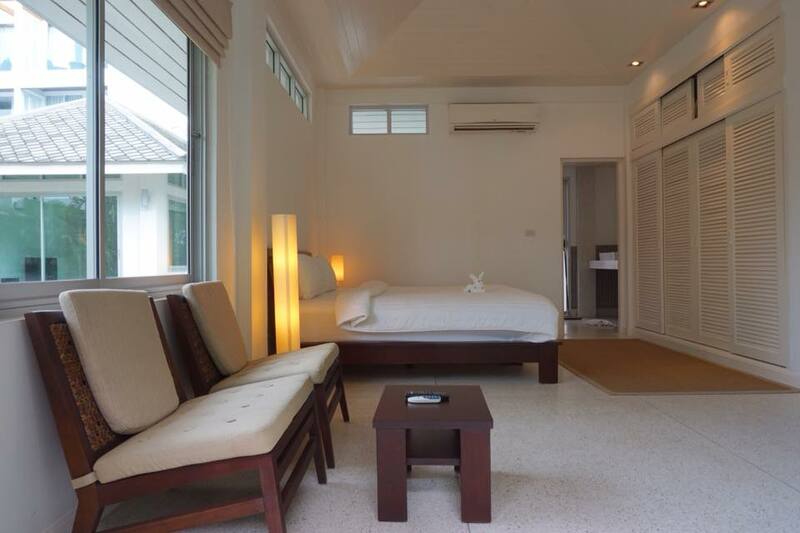 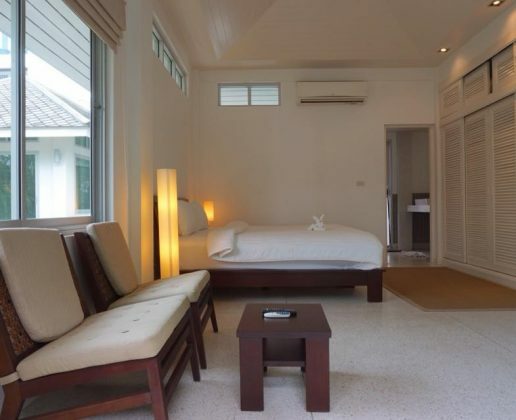 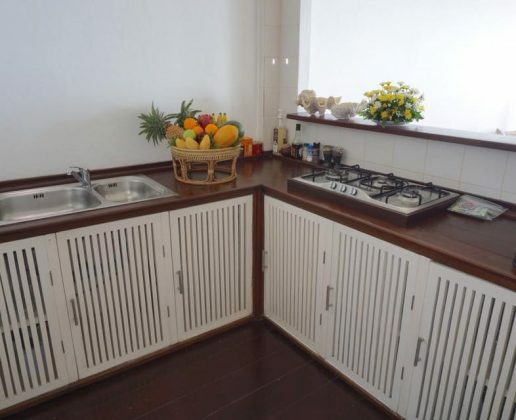 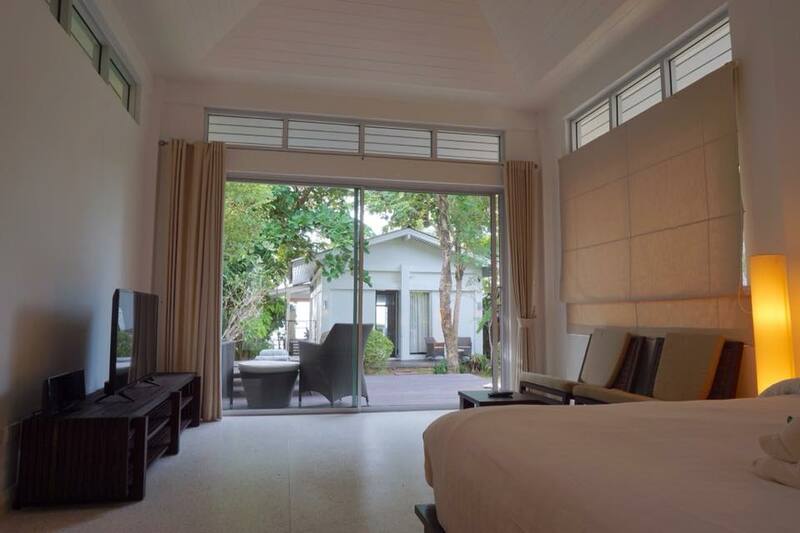 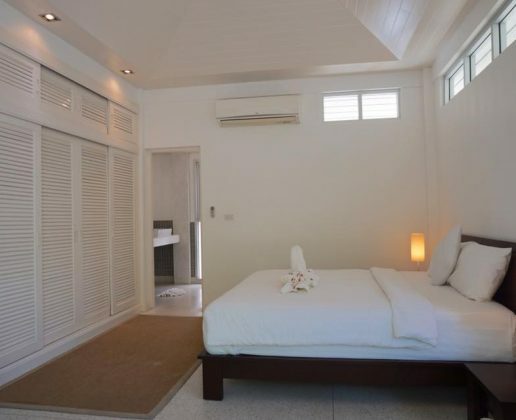 Another main villa are master bedroom with en-suite bathroom, main kitchen & living area and a beachfront balcony with sea views and sun set views. 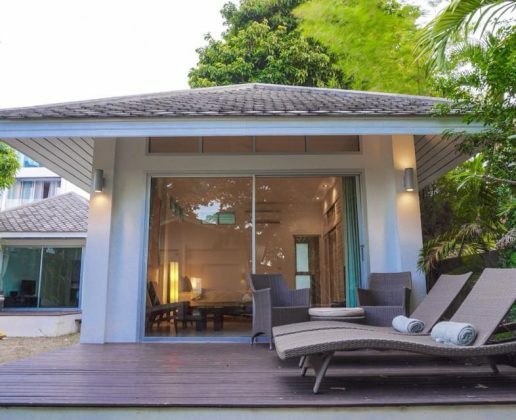 Short walk to shops, restaurants and a famous beach club is next door which swimming pool or other facilities are available during your stay. 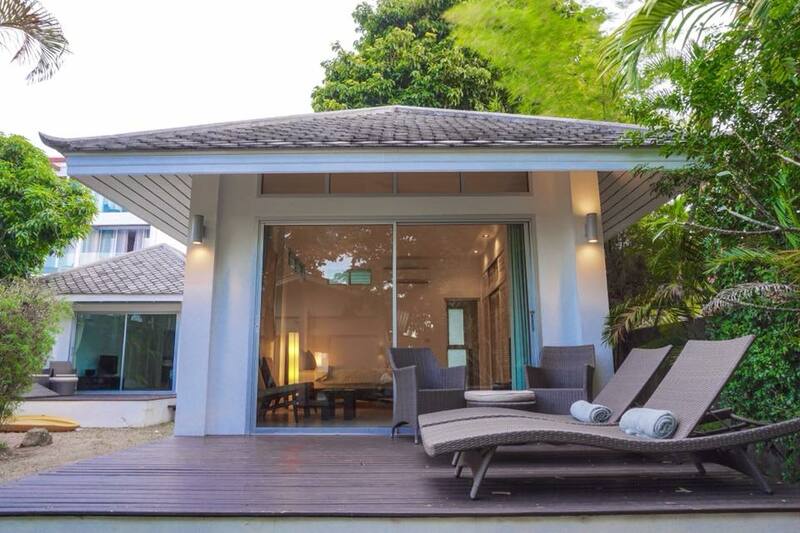 This villa is perfect for a holiday home.